The steps to transform a legacy risk environment must be taken if firms are to meet the market’s requirements. 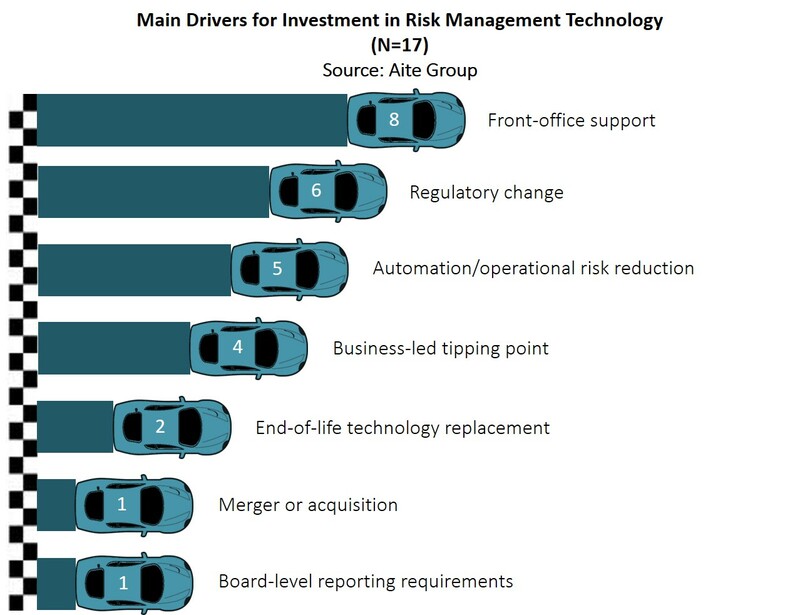 London, 27 September 2017 – The market offers many drivers for investment in new risk technology platforms, but firms often delay pulling the trigger—system replacement is always painful, and inevitably there will be blood. Senior executives may be understandably hesitant to launch programs of work that could involve months of planning and system review when there is significant and continued downward pressure on operational cost. Building a cast iron business case and proving consistent return on investment throughout the rollout are therefore of paramount importance. This report examines the challenges faced by risk management executives in the capital markets when they are attempting to replace their risk technology architectures. It highlights lessons learned during this process and pitfalls to avoid, including those related to technical, operational, and cultural factors. It is based on conversations with chief risk officers or heads of risk management at 17 global capital markets firms and with two implementation consultants engaged in supporting transformational activities for risk management. This 33-page Impact Report contains 19 figures. Clients of Aite Group’s Institutional Securities & Investments service can download this report, the corresponding charts, and the Executive Impact Deck. Collateral Management Embedded Technology Vendors: Better Together?